I remember there's this famous Hong Kong dessert called 姜汁撞奶 ... does it literally translate as 'ginger crash milk'? Or 'ginger bang milk'? Hee.. hee... it's called Ginger Milk Pudding. I've tried this dessert 2 times in Hong Kong some years ago. 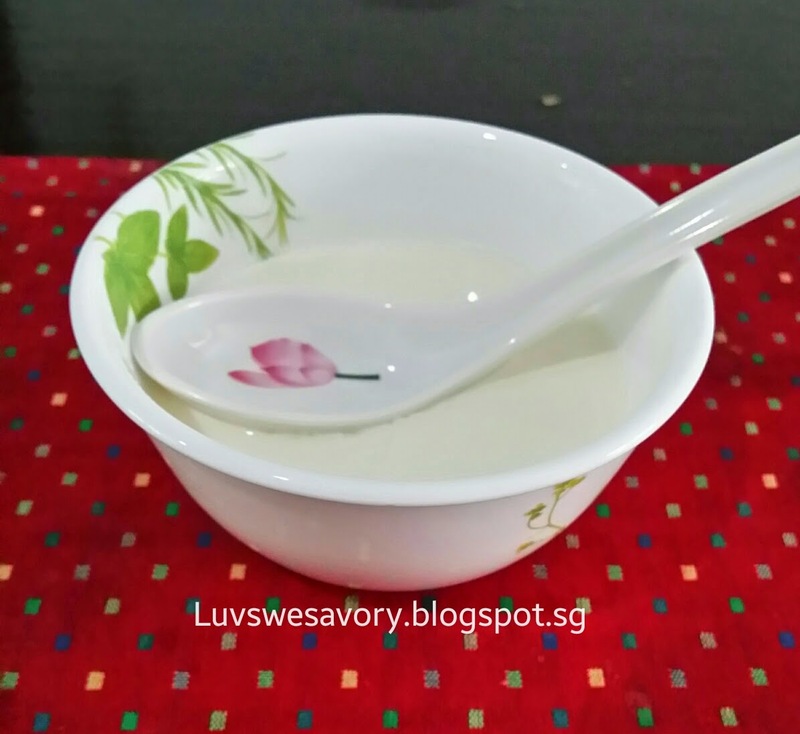 Well, the silky soft texture is something like bean curd but it uses only the milk, sugar and ginger to make this dessert with the technique of controlling the milk temperature to form the curd. Of course, the most exciting process of making this dessert is the "heart popping spoon holding test” to check if the ginger milk pudding is made successfully. 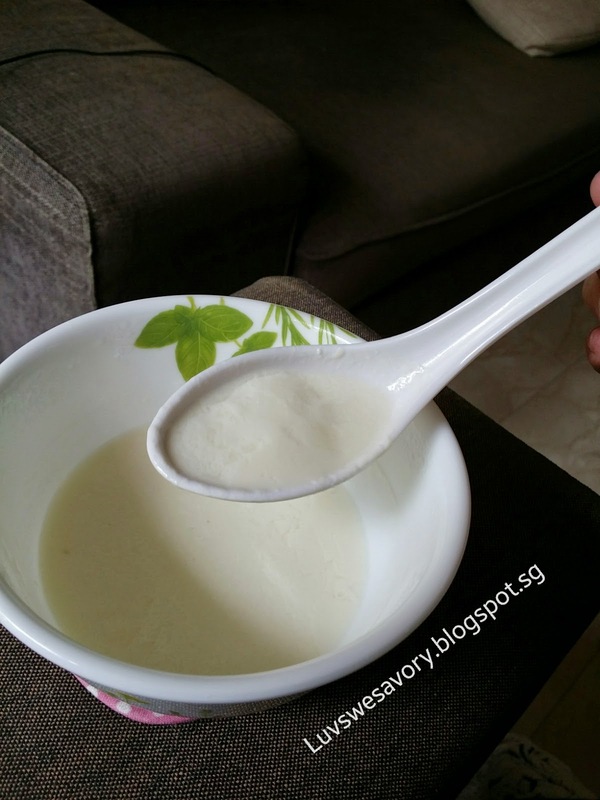 If the curd has set well, it can take the weight of the spoon (isn't this amazing ?). This means it is solid and it is successful ! This my 2nd attempt on this 姜汁撞奶. I made the dessert last year and I survived the "spoon holding test" but I thought it was just my sheer luck as I don’t have a thermometer to use to measure the exact required temperature of the milk. So I tried this dessert again since I've got all the ingredients .... to see if I'm lucky again to pass the "spoon holding test". 1) Start with ginger, clean it well and peel the skin. Shred it finely and squeeze the shredded ginger juice in each serving bowl. Set aside to let the white powder precipitates. 2) In a pot, boil the milk together with the sugar. Use medium low flame. Boil the milk up to 85°C. You'll need to use the thermometer. 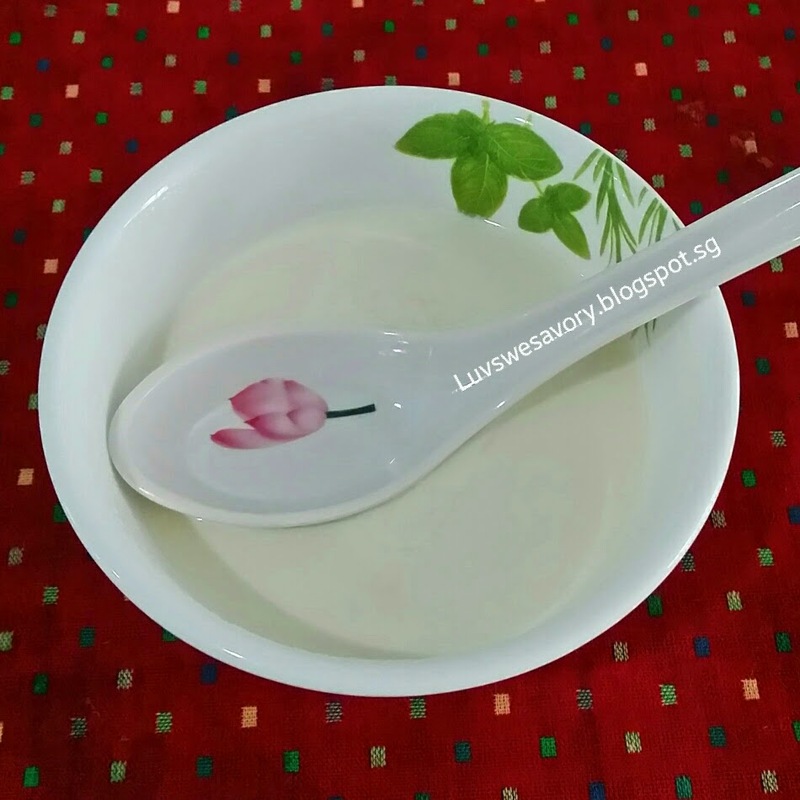 3) While the milk is boiling, take out the ginger juice to remove the clearer liquid gently without shaking the bowl. Keep only 1 tablespoon of the concentrated ginger juice. 4) Use the thermometer to check that the temperature of the milk dropped to 80°C. 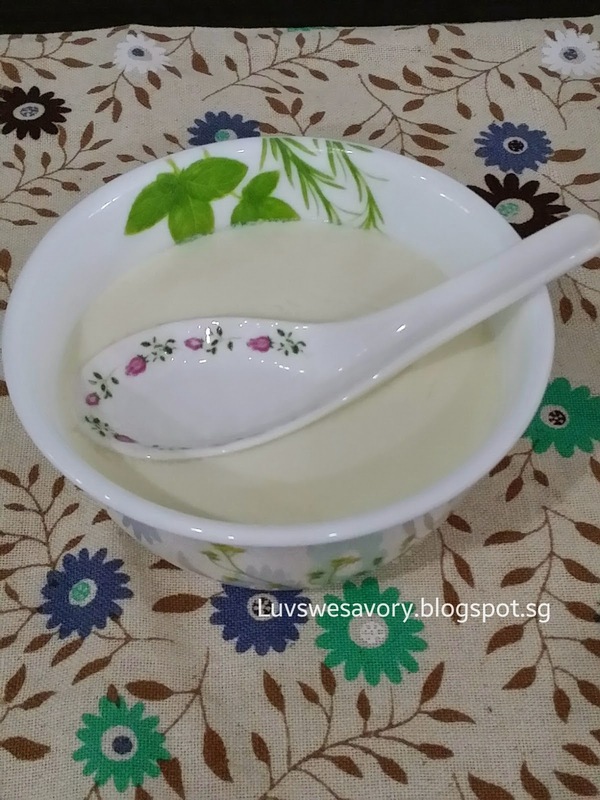 5) Stir well the concentrated ginger juice then pour in the milk quickly. Don't touch or stir it. Cover the bowl with a plate and wait for 10 - 15 minutes. Remove the plate. Place a spoon on the surface. If the surface can support, this means it is solid and it is done ! I do not have a thermometer. I switched off the flame when small bubbles begin to form on the sides of the pot in step 2. It is not the boiling point, so I estimated that the temperature is about 90°C. I let the milk 'cool' about 3 to 4 minutes before attempting the 'milk crash' in step 5. Used a heavy weight. ... ceramic spoon. a metal spoon ... passed ! Melamine spoon .... Passed ! Yeah ! 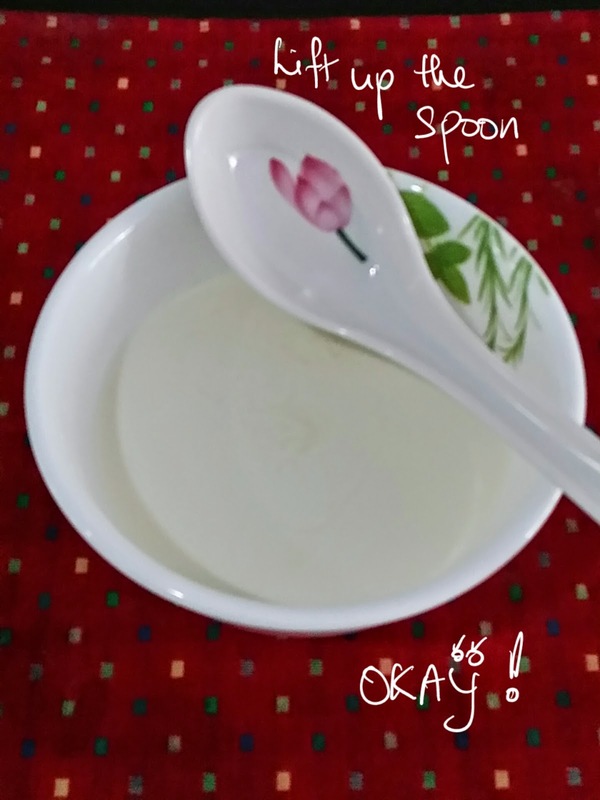 I passed the spoon holding tests ^-^! Phew ! ... now it is time to enjoy ! Thumbs up for you ! Your Ginger Milk Pudding looks smooth and nice. 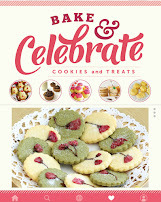 This is the pudding that I want to try but until today still dare not start,envying you lah! Wah! I think I too want to have some fun ping pom ping pom too..lol! Only 3 ingredients...ok, will let you know if I succeed...hahaha! Ha ha ! ... Nancy, welcome to the "fun ping pom club" ... it's a good experience to have such fun thrill before enjoying the dessert. Good luck and let me know the result ya ! 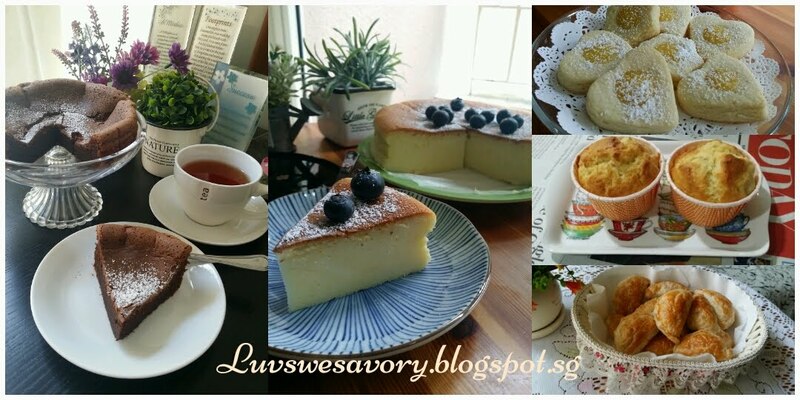 Looking at your post reminded me of days that I went crazy over this dessert. I think my family got sick of my many failed experiment. And yes this is one of my all time favourite dessert! Now should I restart my mojo on this one? Love your result. Thanks Edith. 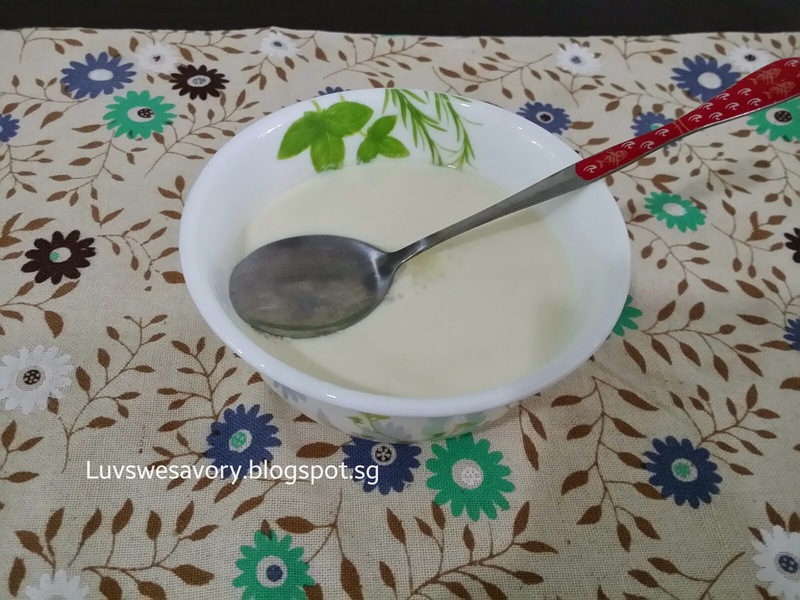 Oh I visited your post of ginger milk pudding and I read the process, I don’t see the use of plate to cover the bowl after the 'milk crash'. Well, since this is your favourite, join in the fun ^-^! Yay that you have passed the test with the score 100/100!!! Now it is time to celebrate and eat more pudding! Thanks Zoe. Hee ...hee... full cream milk very fat leh ... how I wish skim milk could be used for this recipe. Hi Fion, yes, the texture is soft and smooth ^-^!